The Miami Heat will begin the 2018-19 season with back-to-back road games against two different division rivals, according to Ira Winderman of the Sun Sentinel. 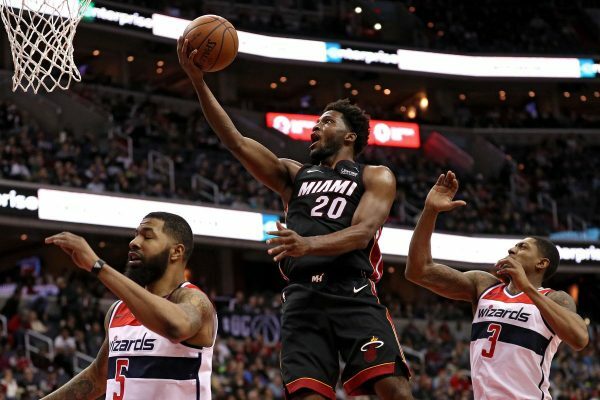 The Heat Will open their 2018-19 regular season with consecutive road games in Orlando and then Washington, on October 17 and 18. Miami will open the season against the Orlando Magic on Oct. 17 and then travel to Washington the next day to play the Wizards on Oct. 18. This marks the third straight year that the Heat will face the Magic in the first game of the season. In the 2016-17 season opener, the Heat won 108-96 and in the 2017-18 season opener, Miami lost 116-109. This will be the third time in Heat history that Miami will begin the season with consecutive road games on consecutive days. The first time was in the 2003-04 season, when Miami started off with losses to the Philadelphia 76ers and Boston Celtics. The second time was in the 2010-11 season and against the same teams. Miami started that season off with a loss against the Celtics, which marked the first regular season game of the Heat’s “Big 3” era. The Heat then went on to the beat the 76ers. In season-openers, the Heat’s all-time record is 17-13. The rest of Miami’s regular season schedule will be released on Friday.